For your comfort, we use the Wand to gently deliver local anesthetic prior to any procedures that require them. 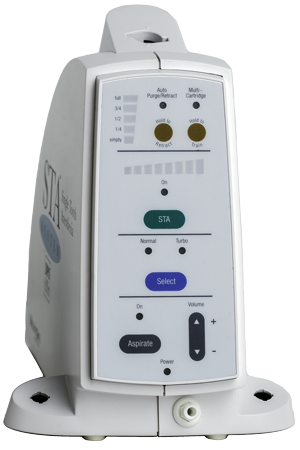 A state of the art digital platform for local anesthesia, the Wand Computer Assisted Anesthesia System makes getting numb a breeze. It is significantly more comfortable and much less intimidating than a syringe. Paired with our powerful topical gel and the some of the softest hands west of the Mississippi, many patients don't feel a thing. The days of fearing the dentist are behind us.